Shungite spheres are small spherical balls made from real shungite. They radiate energy in every direction, simultaneously. Likewise, they also come with the ability of moving energy through time. A shungite sphere is probably one of the best energy tools that you can use during your meditation. They act as one of the best purifiers for getting rid of the unnecessary energies and toxicities from both people and spaces. They act by grounding and healing our chakras while specifically emphasizing on the lower chakra. The material used for crafting these spheres symbolizes truth and no possible lie or negativity can therefore persist around it. 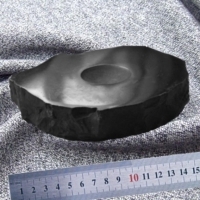 As evident from the name, shungite balls or spheres are made from pure shungite, which is a unique, carbon-based rock available in one of the remotest corner of Russia. This rare, one of a kind, non-crystalline rock which is used for making the spheres is almost two billion years old. It is rich in an element called fullerenes, which is entirely composed of carbon. When it comes to appearance, shungite completely resembles coal. But unlike the fossil fuel, this mineral comes with the power of conducting electromagnetic energy while also absorbing our system from these harmful emissions. Shungite also has the power of absorbing negative energy while completely removing it from a person or an entirely different space altogether. It replaces your stress and fatigue to positive energy while also keeping you completely protected and grounded. One of the best parts of using this sphere is simply the fact that the material that goes into making it not only removes your negativity, but also treats your body from all possible sources of bacteria, pollutant, free radicals and viruses. You can always use this for detoxifying your body, boosting your immune system and treating all issues from inflammation and pain. When you meditate with the sphere, you will no longer be bogged down by headaches or insomnia. At the same time, you will also not be affected by chronic fatigue, arthritis, pancreatic ailments and cardiovascular disease. Although shungite is one of the most potent minerals that you will ever encounter, you have to make it a point to recharge and cleanse it from time to time. Only when you follow this method, the sphere will perform its job flawlessly. How does shungite sphere work? 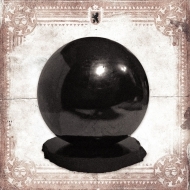 Shungite spheres work by developing a field around themselves. This field plays a vital role in neutralizing the geo-pathogenic radiations of an individual and restoring their overall power. It is already evident that there are several active points that are connected with our body’s internal organs and the systems on our palms. This is exactly why massing our palms with Shungite spheres play a vital role in activating our vital bodily systems. This shungite sphere also has the power of clarifying the water from organic compounds, bacterial viruses and other harmful micro-organisms. To begin with, you should always make it a point to place the egg between you and the source of pathogen. This will automatically prevent you from impending electromagnetic radiations. Now, if you’re looking to activate your essential body parts, try taking two small spheres in your hand. Now try rolling them in opposite directions. After this, breathe as much as you can in the presence of white light. You can then visualize your overall intention for the sphere. You can also utter this intention loudly, if you want to reinforce it strongly. The sphere will listen to your intention and carry it out just the way you want it. This exercise will promote the harmonious development of both the right and left hemisphere of your brain. How to clean the sphere? If you’re looking to maintain the sphere and clean it from time to time, there is one simple step you can try. Make it a point to keep the sphere in water for around forty eight hours. During this time, the water will automatically clean itself and will also be biologically active. Where to keep this sphere? When it comes to fixing a location for your shungite sphere, one of the best places would be your office, your bedroom or your living room. In order to ensure that you enjoy a consistent sleep, make it a point to combine your sphere with a big chunk of selenite and keep them right beside your bed or below it. This powerful combination will play a significant role in treating insomnia, anxiety and nightmares.